In many parts of the world the word chai is synonymous with tea, but for us chai is synonymous with cup of awesome. 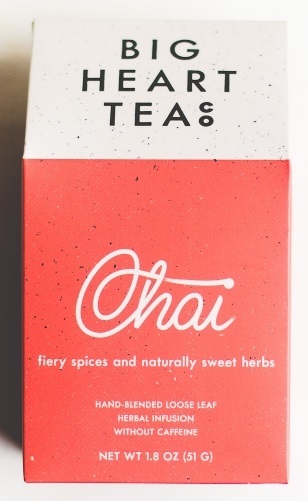 We use both tulsi (holy basil) and red rooibos in our chai base. Red rooibos is a naturally sweet-ish tea grown in South Africa and qualifies as what we call a ‘free radical warrior’ because of its super high levels of antioxidants. Tulsi and red rooibos are blended with freshly ground cardamom, cinnamon, allspice, star anise, ginger and peppercorn. 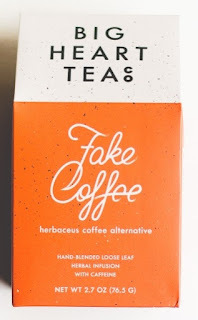 It's a peppery tea that will make you blush it’s so good. How to brew: start with a heaping teaspoon and increase from there depending on how strong you prefer your cup of tea. Steep for two minutes. Chai is great with a bit of honey and milk, if you're into that. Enjoy! Click to learn how to cold brew Chai. Or, try our own Creamy Chai Horchata recipe! How to brew: start with a heaping teaspoon and increase from there depending on how strong you prefer your cup of tea. Steep for two minutes. Fake Coffee is great with milk and sugar, if you're into that. Enjoy! Plus, we think it's pretty poetic to say that you are drinking a cup of sunshine! How to brew: start with a heaping teaspoon and increase from there depending on how strong you prefer your cup of tea. Steep for two minutes. Enjoy! 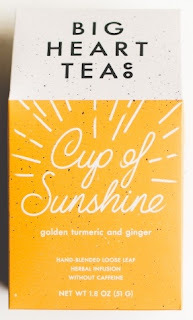 Click to learn how to cold brew Cup of Sunshine. Dig this blend? Check out our Cup of Sunshine Gift Satchels! 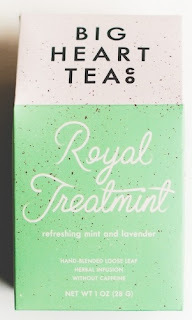 Click to learn how to cold brew Royal Treatmint. Perfect after a big tasty meal or to relax a nervous tummy. Lavender and fennel balance each other, providing both sweet and savory tastes, giving a calming olfactory sensation. Calm Yo' Tummy works to stimulate digestion, soothe an upset tummy and relieve stress. It also supports lactation! Click to learn how to cold brew Calm Yo' Tummy.